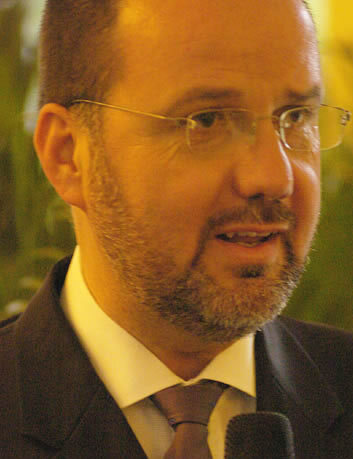 Alberto Melloni is professor of contemporary history at the University of Modena-Reggio Emilia and a member of the Board of the John XXIII Foundation for Religious Studies, Bologna where he acts as Director of the Dossetti Library and vice-secretary of the Foundation. What follows is a rapid presentation of the pre-conciliar work that led to the declaration Nostra Aetate , a presentation that is almost always indebted to the main existing historiographical literature: from the memories of John M. Oesterreicher,1 to the theological reflection of Eugene Fisher,2 and to the historical work of Giovanni Miccoli and Mauro Velati in the Storia del Concilio Vaticano II directed by G. Alberigo, which I invite you to consult for the references which this lecture shall not mention.3 Today we are aware of the extent to which all these reconstructions, or at least some parts of them, are largely of a tentative nature. This is due to the fact that Paul VI chose to open the Archive of the Council to scholarly examination, moving it to a more accessible location within the Secret Vatican Archive; the documents included therein suggest nuances and corrections that are not just marginal, and that in the near future shall necessitate a general reconsideration of all the extant evidence, when the papers of the principal actors of the Council will have also been assembled and studied. If I choose to go over the stages of a long and difficult struggle such as the one that led to the document Nostra Aetate , it is because this struggle is full of particular significance for the history of the Second Vatican Council: that document would become a document on all religions, and as such it would be received in the post-conciliar period, but in its origins we find more problematic issues concerning the relationship between the Church and Judaism. This origin is not merely textual, but, as I shall quickly review towards the end, it is also historical, in the deepest sense of the term: the weight of the culture of contempt promoted by official church teaching,4 the relationship between this tradition and the Shoah,5 the difficulty in discerning that event on the theological level,6 the burning dilemma of guilt and its polemical use as accusation7  all of this weighs heavily on Nostra Aetate. It explains the determination with which a few Council fathers wanted contra spem [against all hope] a declaration that did not have behind it the long process of doctrinal exploration that had marked other conciliar decisions, and it illumines its reception, which in a certain sense experienced a turning point only when John Paul II inserted into the crannies of the Western Wall the text of the mea culpa of the Catholic Church, with a gesture that is itself a parable of the changes undergone by the Roman papacy and at the same time by the Church in its larger ecumenical sense. The idea to submit for the Councils consideration the problem of the relationship between the Church and the Jews was an important concern for many of the protagonists of the preparation of Vatican II: not wholly absent even from the chastened proposita of the Catholic Universities,9 the question did not merely torment the German Churches, but also the theological culture as a whole  and Jews especially asserted the topic as demanding reform. From 1955, Jules Isaac had attempted to convince a highly reluctant Pius XII of the necessity of a visible re-thinking of the Jewish question through the modification of the oratio universalis of Good Friday, and the question, having all sorts of implications that were extremely relevant for the time, would later be brought to the attention of the former legate to Istanbul, who was then actively involved in the attempt to rescue the Jews from genocide, and who would become Pope in 1958 with the name of John XXIII. A new Isaac draft, turned into a Bea draft in December 1962, raised again the question [of Jewish-Christian relations], reflecting an awareness of the fact that in a time (as Congar writes) after Auschwitz , further silence is no longer acceptable.16 Bea added further aspects of an ecumenical character: in fact, the recent condemnation of anti-Semitism on the part of the World Council of Churches as a sin against God and against humanity added an element of urgency to a [theological] move demanded both by history and by conscience.17 John XXIIIs approval ensured that the draft abandoned before the opening the Second Vatican Council could be taken up again, re-opening the discussion on a series of propositions that would emerge in the conciliar sessions during the 70th General Congregation, on November 19th, 1963, a few months before the death of Pope John and the election of his successor, Paul VI18. During the conciliar sessions there was no explicit vote on this chapter, but only opinions expressed in the interventions or in the written motions: favorable reactions (from the Americans and the Germans) and criticisms (from the Eastern Patriarchs) remained in the shadows, while diplomacy worked in a direction that could be discerned very easily. The series of problems that now we can quite easily disentangle, but which were far from clear to the Catholic Church in 1963, included different issues: the need to cut the Catholic roots of anti-Semitism with a conceptual razor other than denunciation, thereby removing from racist ideologies their pretended theological foundation. Then there was the problem of dialogue with Judaism where Jewish associations and Israeli structures were in objective competition with each other. There was also the problem raised by the fact that pieces of Nazi anti-Semitism were migrating into the Christian Arab world as a consolidation of their hostility towards Israel . Furthermore, there was the crucial issue of the relationship between Israel and the Holy See; crucial because in developing all sorts of arguments as to the (negative and/or paternalistic) impossibility of granting political autonomy to Jews, the Church [in previous decades] had fed the anti-Semitism of the Holy Sees partisans, as well as that of the Catholic universities and the Catholic parties. Finally there was the question of the teaching of contempt that had prevailed as an earlier magisterium, which was not simply one of the dimensions of the hatred perpetrated by anonymous children of the Church, but was actually part of a tradition recognized and expressed by popes. The discussion during the 1963 conciliar session  which was not specific and did not culminate in a vote on the chapter  creates an interpretative difficulty that would not only remain constant throughout the various iterations of what would become Nostra Aetate , but also represents a defining feature of the process of its redaction. The burning character of the topic was such that every passage was accompanied by lively discussions, reflections, and discoveries that happen even if within the conciliar sessions. What effectively happens in 1963 (and it shall happen again) is that a discussion which is not so profound paradoxically helps the text more than the analytical discussions reserved to other problems: the struggle among opposing ideas that the Church needs to give itself an explanation of otherness (especially religious otherness, but not only that) is vaster, harsher and far more direct. The reaction of the Secretariat was actually not hostile to these directions, one of a series of ambiguities typical of the time; but at the same time it did not invite additional persons to take part in the ongoing discussions of its core group that by then was simultaneously working in Via dellErba on three very delicate points (ecumenism, religious freedom, and Judaism). The proof of this is the fact that Willebrands asked Yves Congar and Charles Moeller for an extended version of the text according to the directions of the coordinating committee, and without further obligation on the part of the Secretariat in its plenary form. This extended text was produced extremely quickly (it was ready by the evening of Match 27th, 1964), and in this text the whole of draft C is preserved, with the exception of the word deicide.29 Congar, according to his own theological understanding of the problem, proposed to describe a constitutive link between the paternity of God and the fraternity of all the people, a new magna observantia by which a new Christian attitude of toward the other religions could be framed: within this framework, according to Congar, are respect for all people and the condemnation of discrimination. A struggle, therefore, was underway around critical points of theological anti-Semitism: it is not the anti-Semitism of the Arab Christians that causes concern  an anti-Semitism that is partly dissimulated, partly disguised as a pan-Arabic solidarity, and which even the great Patriarch Maximos IV had largely shared; even the anti-Semitism of the Nazi and the Fascist type that was echoed in a few voices was only a secondary factor. The problem was theological anti-Semitism, with the political implication that the whole respublica christiana in general and in the State of the Church in particular had inspired centuries of history and of culture. In fact, suspicions linger that the Pontiff himself supported this point of view: the then theologian of Frings, Prof. Ratzinger, argued that the Pope is convinced of the collective responsibility of the Jews for the death of Jesus, and that therefore the difficulties cannot be eliminated;42 Card. Seper says the opposite. The point however cannot be reduced to a mechanical delineation of De Judaeis, but to the context of the beginning of that summer that was so difficult for Paul VI, who sensed how the conciliar minority was exerting an ever more violent pressure, but even for the majority, which saw the Pope (whom until the previous year they considered their own) as growing increasingly distant. On July 7th, 1964, two declarationes are sent to the Council Fathers  two declarationes that had resulted from the text De Oecumenismo (according to the decision of the Coordinating Committee of April 16th, 1964) and that the previous year were merely chapters: a first De libertate religiosa,43 and a declaratio altera dedicated to the theme De Judaeis et de non-Christianis which was by now a draft D.
56 The way in which Felici summarized this debate and its conclusion for Paul VI was neither faithful nor balanced: but it obtained the nihil obstat approval which ensured that the Secretariat was relieved of all responsibility for De Judaeis, while the freedom of discussion was severely curtailed. ).58 And yet, at this moment something more is being decided is because both in the discussions on [religious] freedom and on Judaism questions are at stake that do not merely relate to the institutions of the Roman Catholic Church, but rather concern the status of otherness in its life of faith. A new series of changes received the final approval of the Secretariat on October 30th, after a complex work undertaken by a sub-committee formed for this purpose and by its working groups.63 This sub-committee revealed Beas attention to what had emerged in the debate, as well a more general concern for the obvious instances of interference with what was happening in the wider context of the Council. This version (E) was distributed in the conciliar sessions on November 18th, 1964 , and was approved two days later by interlocution with 1651 placet, 242 placet iuxta modum and 91 non placet. Both by restoring a few aspects of the earlier drafts64 and by welcoming new suggestions, the declaration in its final form included five unequal parts that went from the common destiny of all humanity to the non-Abramitic religions, treated under two successive headings the Muslims and the Jews, and ended with an appeal to universal fraternity. The condemnation of the expression deicide people was explicit, and the rejection of anti-Semitism was total. The approval by this vote seems to have startled the Vatican diplomats, who pretended an article from Bea (whose article on the theme of Judaism for Civiltà Cattolica had been vetoed in the Summer of 1962!) so as to discourage any political interpretations of the text, and take out the momentum from those reactions in Syria and elsewhere which, in less controversial times, had already made an observer such as Oesterreicher think of a Jihad.65 In a note of December 7th, 1964 to Felici, Cicognani lamented the failure to evaluate Arab reactions, and Bea, who replied emphasizing the fact that 1700 fathers had voted in favor, did not miss his opportunity to reject the conditioning collaboration of new theologians, behind whose back was already seen a plan by Felici. In fact, the atmosphere was really tense: but there also instances of opportunism (Gori, for instance), and of alarmism, to which Bea suggested to respond sending a formal note before the final approval of the draft. And there was a resistance to backtrack on a point that was crucial for reactionary Catholicism, the right-duty to protect the Church from the Jews in conformity with a brief, but certainly inflammatory tradition of the magisterium: but the fact that the resistance was identified with Carli was a sure sign of its agony. The changes were accordingly examined at the beginning of March 1965 by a working group that had already been tried out in October-November: Congar, Neuner, Baum, Oesterreicher, and Moeller, who then gave a report at the plenary session of the Secretariat.66 Not only the changes, but even new sensations: Willebrands explained for instance that the Arab reactions had come from a transmission of Israeli radio that had talked of an absolution of the Jews from the accusation of deicide, and the commission intervened on the text by inverting the sentence on the limits of the responsibility for the death of Jesus, and the retraction of the accusation of deicide. Even Bea, in a plenary session, wanted to show himself open to the concerns of the Arabs, who, unwilling to distinguish politics and religion, interpreted wrongly the declaration as if it had been a pronouncement in favor if Israel. Along this line  which asked to give an explanation of Acts 3, 15, auctorem fidei interfecistis (you killed the founder of the faith)  it would have been possible to come to drastic changes: against which, however, Sheenan made his voice heard, saying that backtracking from the condemnation of the accusation of deicide would have meant that the whole purpose of the text would have been lost. The conflict was not resolved, and in the end the Willebrands formula remained in the text, waiting for a further examination in the plenary session of the following May 10th. In the meantime, Willebrands and Duprey started a journey in the Middle East that made them more pessimistic, such as perhaps to induce Paul VI to make a grave faux pas on Passion Sunday, when, preaching in a parish, he talked of the responsibility of the Jewish people for the death of Christ.67 Ratzinger thinks of the possibility of a theological turning point, but maybe this is merely the result of emotional saturation. A few days later Patriarch Gori, to make an example, rejected all mediation offered by Willebrands by claiming that nothing could be declared or in fact ought to be declared. And Paul VI formulated (or merely handed over?) to Bea a series of extremely embarrassing corrections: [he asked] to omit the sentence neque ut deicidii rei (nor are they guilty of deicide), to remain on a general level when condemning discriminations based on religion, to reprove (as in morals ) but not to condemn (as if it were a heresy) anti-Semitism. The result in May?  Chaos! And totally chaotic was also the plenary session of the Secretariat that month, in which Willebrands gave a report of his journey, and Bea talked of the new pressures from the Pope: only two possibilities appeared left, either to sweeten the text, or to postpone everything to the period after the Council. Congar perhaps was not the only one to think so, but his intuition was rather that it was necessary to follow a different path: to elaborate a more organic and more theological act, which would transform into a resource all the lost opportunities and the opportunisms. His project was transmitted to Bea and appeared to be a solution, but it was initially sidelined because Willebrands thesis  if it is not possible to do anything, better to postpone  was gaining growing support in the debate, including the approval of Oesterreicher and of Congar himself. On May 12th, after the meeting of the coordinating committee, the debate took a different turn: a less categorical Willebrands and a more inventive Bea sought to find new ways to disentangle the problem  and the debate regained momentum. De Smedt pushed for the discussion to continue, even if the price was to include a premise on the non-political character of the text; Martin, Charrière, Gran supported him.68 The German Stangl reaffirmed the thesis of Congar  twenty years after Auschwitz it is no longer possible to remain silent  and Bea read a text with a few suggestions that perhaps are the same as those jotted down by Congar a few days earlier: but he dod not go ahead, because no-one, in such confusion, wanted to risk starting from a text that had not passed though the sessions of the Council. Thus began a period of operative discussion. Votes and formulations followed one another: to eliminate the direct mention of deicide passed by 15 votes to 9, and in a vote of control by 17 to 6; to reduce damnat to reprobat passed by 15 to 8; the anti-political remarks by De Smedt were also approved. The debate says however something very important about the situation: if this is the way the Secretariat proceeded, what would happen in the Conciliar session? De Smedt proposed to prepare two propositions to bring to the Council if the draft were rejected, but he was not supported in this by Bea, who by this time was set on going to the plenary session with a draft. On September 30th, 1965, the fathers were thus to receive a final text, text G, articulated under nine headings that were going to be subject to the vote71  before which the divisions among the different groups was clearly delineated. Opposed to the text were the members of the Coetus internationalis patrum, who, during the session of October 11th, openly campaigned for the non placet, distributing pamphlets with their Suggestiones circa suffragationes mox faciendas de Schemate: De Ecclesiae habitudine ad religiones non christianas, which are an attack on the Secretariat and a politically sophisticated move: the conciliar right proposed to soften in a few places three of the four parts destined for the vote, while advancing the cause of only one unqualified rejection, for the part which revoked the doctrine of deicide. On the first part (the passages concerning dialogue with non-Christian religions) theological reservations were advanced  which Mauro Velati rightly considers malicious  against the stubborn search for a denominator communis. The opposition of the Arabs, on the other hand, had been placated by a few moves: after having appointed to the Secretary for Christian Unity Fr. Cocq, who had previously been responsible for the commission on Islam within the Secretariat for the non-Christians, a translation of the draft was prepared which was then handed over to all Arab embassies: these, with the single exception of Iraq, assumed a more accommodating tone, and this exerted an equally calming impact on the position of the Arab bishops, who thought of a common voting declaration (which would fail because of the opposition of the Maronites) and who remarked how the Popes visit to the United Nations had attenuated certain polemical excesses of pan-Arab nationalism. A variegated area of opposition was instead that of the informal organizations within Judaism which regard as an ill-fated move the choice to omit the term deicide, and the reduction of the damnat (referring to anti-Semitism) to a mere deplorat: Joseph Lichten, for Bnai Brith, telegraphed the consternation of the American Jewish community, and the Texas bishop Leven would be ready to vote against n. 4 for reasons opposite to those of the Coetus, even though at the moment of the vote they would be confused with them. Laurentins reflections on this issue exemplify how many people at the time failed to realize the implications of what they were doing: he thought that rejecting the draft would have led to an improvement of the relationships with the Jewish world, whereas the approval of the paragraph on deicide and anti-Semitism would have calmed the opposition on the part of the Islamic world  neither of which assertions corresponded to reality. Even the supporters of the more open and straight-forward solutions were unable to grasp the difference between important, but national, organizations, and European Judaism, as well as the difference between Judaism in Israel and the State of Israel as such  a State which indeed did find its roots in something different from the explosion of Nazi and Fascist anti-Semitic ideology and genocide. Perhaps out of fear of irritating the Council fathers before the end, Lercaro had not included Nostra Aetate among the drafts to be taken to the public session on October 28th. And if it is true that Paul VI had put a threshold of 300 negative votes to proceed to the promulgation of the text, the silence of the Archbishop of Bologna had been wise. After passing the obstacle of the vote, in fact, the Secretariat began forcefully to demand the inclusion [of the document] into the agenda of the 28th, showing to the Pope even the congratulations of the World Council of Churches and of the American Jewish Committee. Why exert such pressures? Because there was the possibility of extremely dangerous polemical backlashes: we might be surprised by the letter of Ruffini who lamented the absence of any mention of Pius X, but was such a letter really destined to leave no trace? How ought we to judge the letter to the Pope by Msgr. Gori, who accused the Council of having distorted Rm. 11, 28? Was there not the risk of starting a process analogous to that which had disturbed the last moments of the promulgation of De Oecumenismo? This would not happen: the Pope accepted the request to broaden the agenda of October 28th, and in response to Goris remonstrances he advised that he ought to be reassured, but that nothing ought to be changed. At the final vote, the drafts on the bishops, the priests and the religious passed with a number of contrary votes between 2 and 4; the draft on Christian education got 35; and Nostra Aetate still received 88 stubborn rejections. Seven years had elapsed since the election of John XXIII. As I said at the beginning, much work still needs to be done to understand what is hidden and what emerges in the public debates, in the private struggles in which attempts were made to reject the idea that, 750 years after the Fourth Lateran Council, a Council could approve the document De Judaeis with a different tone from that of Innocent III.74 There is much that must still be simply thought out in order to understand how the impact of the declaration is being received at the various levels that make up the life of the Christian community: from commentaries to the ecumenical world, from papal diplomacy to the popularizing pamphlets, from various initiatives that transfer [the decisions of] the Council to the members of the Church, from Europe to the Arab world, from America to Israel. With due caution, therefore, I limit myself to put forth, as a hypothesis, a hermeneutical key which, if confirmed, I think can give a historical account (though even with a few implications that go beyond the level of the mere reconstruction of the facts) of the journey that has briefly been reviewed in these pages. The history of the redaction of Nostra Aetate is in fact marked by the constant interference of opportunisms, a term in which not only I do not see any negative nuance, but where I rather view an ability to adhere to the time in its different realities: in Isaacs requests there is the desire certain worthy of our respect  of a section of European Judaism to show itself able to obtain something, something which those who had directly experienced the Shoah as well as the centuries-old conflicts,75 which had remained in place even after the end of the war, were able to intuit with a different degree of urgency; in Cicognanis perspective, there is the attempt to make prevail a culture of diplomatic mediation that seems however incapable of recognizing in the political novelty [of the State of Israel] something that might mark Judaism and the Middle East forever even at the cost of a new catastrophe; in the intuition of Bea there is also something in which a German Jesuit was able to grasp the more theologically profound implications, but also the more immediate ones (if there is such a thing as collective and eternal crimes as claimed by the teaching of deicide, what shall happen with Germanys Nazi past? ); in Israels suspicious attitude there is the need to understand what could be the political gains of an act that could boil down to an embarrassing expression of good intentions, perhaps deserving of some polite appreciation on the part of a rabbi, but which was certainly unworthy of the commitment of a people seeking its own rebirth; in the Arab reaction there is the attempt to shorten the leash of the Churches as well as the internal intuition that the time had come to reassert leadership within societies that moved uneasily between re-Islamicization and a reconstruction of a socialist type. But in the end, what has come out of it all? Was De Judaeis watered down or sold out to the opportunities of the moment? From the point of view of the redaction, this might appear to be the case,76 but in substance, the opposite is true. In the text and in life, in experience and in history, Judaism has become the paradigm not only of inter-religious dialogue, but also the paradigm of every difference, the sacrament of all otherness, the locus theologicus where the Christians can show that every other alludes in its very alterity to the One who is totally Other and yet is totally Close to every woman and to every man.77 It is this mystery of salvation that marks our age. In the documents of the Second Vatican Council, it is affirmed that our time can respond to the challenge that this mystery represents. 1 Cf. J. M. Oesterreicher , Erklärung über das Verhältnis der Kirche zu den nicht-christlichen Religionen. Kommentierende Einleitung, in L Th K. Das Zweite Vaticanische Konzil, II, Freiburg-Basel-Wien, 1967; a new improved edition is in J.M. Oesterreicher, The New Encounter between Christians and Jews, New York, Philosophical Library, 1986. 2 Cf. E.J. Fisher (ed. ), Visions of the Other: Jewish and Christian Theologians Assess the Dialogue. Studies in Judaism and Christianity. A Stimulus Book, New York and Mahwah NJ , Paulist Press, 1994. 3 Cf. Storia del concilio Vaticano II, directed by G. Alberigo, Italian version edited by A. Melloni , 5 volumes, Bologna, Il Mulino, 1995-2001. 4 Cf. D. I. Kertzer, The Popes against the Jews: The Vaticans Role in the Rise of Modern Anti-Semitism, New York , Alfred A. Knopf, 2001. 5 Cf. D.J. Dietrich, God and Humanity in Auschwitz: Jewish Christian Relations and Sanctioned Murder, New Brunswick NJ , Transaction Publishers, 1995, and now also M.A. Signer (ed. ), Humanity at the Limit: The Impact of the Holocaust Experience on Jews and Christians, Bloomington/Indianapolis, Indiana University Press, 2000. 6 Cf. E. Schlusser-Fiorenza- D. Tracy (eds. ), The Holocaust as Interruption, Edinburgh, T&T Clark, 1984; also J. Neusner , Death and Birth of Judaism: The Impact of Christianity, Secularism and Holocaust on Jewish Faith, New York, Basic Books, 1987. 7 Cf. M. Phayer, The Catholic Church and the Holocaust, 1930-1965, Bloomington/Indianapolis, Indiana University Press, 2000. 8 On the sources, cf. M. Faggioli G. Turbanti, Il concilio inedito. Fonti del Vaticano II, Bologna, Il Mulino, 2001. 9 Cf. G. Miccoli, La libertà religiosa e le relazioni con gli ebrei, in Storia del Concilio Vaticano II (from now, Miccoli, op. cit.). 10 On the contacts, cf. Sens 2002/4, with the papers of Jules Isaac. 11 Cf. J. Willebrands, Il Cardinale Agostino Bea: il suo contributo al movimento ecumenico, alla libertà religiosa e allinstaurazione di nuove relazioni col popolo ebraico, in Simposio card. Agostino Bea (Roma, 16-19 dicembre 1981), Roma, Pontificia Università Lateranense, 1983, p. 17; for a further reflection on this topic, cf. S. Schmidt, Agostino Bea. Il cardinale dellUnità, Roma, Città Nuova, 1987. 12 Cf. Miccoli, op. cit., p. 162. 13 The story of the encounter between the Pope and Isaac is told in SIDIC (1968), n. 3, pp. 10-12; the text with the requests handed over to John XXIII can also be found in J. Toulat, Una visita a Jules Isaac, in Rassegna mensile dIsrael, 11/12 (1972) , pp. 3-13. 14 Cf. Miccoli, op. cit., p. 163. 15 Cf. Miccoli, op. cit., p. 163. For the political and diplomatic context, cf. A. Melloni , Laltra Roma. Politica e Santa Sede durante il Concilio Vaticano II (1959-1965), Bologna, il Mulino, 2000. 16 Cf. Miccoli, op. cit., p. 163. For the problem of later theology, cf. A. J. Peck (ed. ), Jews and Christians after the Holocaust, Philadelphia , Fortress Press, 1982. 17 Cf. Miccoli, op. cit., p. 164. 18 Cf. Miccoli, op. cit., p. 164. 19 Cf. J. Nobècourt, Le Vicaire et lhistoire, Paris Seuil, 1964; in the context created by this piece, Paul Rassinier invented a sort of personal negationism, discussed by F. Brayard, Comment lidée vint à Rassinier. Naissance du révisionism, Paris, Fayard, 1996. 20 Cf. Miccoli, op. cit., p. 165. 21 Obviously he did not refer to the missing encyclical by Pius XI on this topic, published in G. Passelecq-B. Suchecky, LEncyclique cachée de Pie XI, Paris, La Découverte, 1995. 22 Cf. Miccoli, op. cit., p. 164. 23 Cf. Miccoli, op. cit., p. 166. 24 Cf. Miccoli, op. cit., p. 167. 25 Cf. Miccoli, op. cit., p. 167. 26 Cf. Miccoli, op. cit., p. 168. 27 Cf. Miccoli, op. cit., p. 168-169. 28 Cf. Miccoli, op. cit., p. 169. 29 Cf. Miccoli, op. cit., p. 170. 30 Cf. Miccoli, op. cit., p. 171. 31 Cf. the Popes own observations in AS, V/2, pp. 572ff. 32 Cf. Miccoli, op. cit., p. 175. 33 Cf. Miccoli, op. cit., p. 171. 34 Cf. AS , V/2, p. 558. 35 Cf. Miccoli, op. cit., p. 171. 37 The letter by Rudloff to Paul VI, dated May 10th, 1964 , is in AS, VI/3, p. 200; cf. Miccoli, op. cit., p. 173. No adequate research has yet been done of the drafts and the notes related to the Rudloff papers. 38 Cf. Miccoli, op. cit., pp. 173-174. 39 Cf. Miccoli, op. cit., p. 174. 40 Cf. Miccoli, op. cit., p. 174. 41 Cf. Miccoli, op. cit., pp. 174-175. 42 Cf. Miccoli, op. cit., p. 177. 44 Cf. Miccoli, op. cit., p. 178. 45 Cf. Miccoli, op. cit., p. 160. 46 For the diplomatic context, cf. the index of A. Melloni , Laltra Roma. 47 Cf. Miccoli, op. cit., pp. 178-179. 48 Cf. Scatena, La fatica della libertà, op. cit..
49 Cf. Miccoli, op. cit., p. 181. 50 Cf. AS, III/2, pp. 567-610, and AS, III/3, pp. 9-55. 51 Cf. Miccoli, op. cit., p. 181. 52 Cf. Miccoli, op. cit., p. 190. 53 Cf. Miccoli, op. cit., p. 191. 54 Cf. Miccoli, op. cit., p. 192. 55 Cf. Miccoli, op. cit., p. 193. 56 Cf. Miccoli, op. cit., p. 204. 57 Cf. Scatena, La fatica della libertà, op. cit..
58 Cf. Miccoli, op. cit., p. 201. 59 Cf. Miccoli, op. cit., pp. 208-209. 60 Cf. Miccoli, op. cit., p. 215. 61 Cf. Miccoli, op. cit., p. 216. 62 Cf. Miccoli, op .cit., p. 218. 63 Cf. Oesterreicher, The New Encounter, op. cit., pp. 228-233. 64 The synopsis of text C and of its changes is in AS III/8, pp. 637-647. 65 Cf. Oesterreicher, The New Encounter, op. cit., pp. 237-238. 66 Cf. Oesterreicher, The New Encounter, op. cit., pp. 247-249. Other documents are also in Fondo De Smedt nn. 1463-1466. 67 For the reactions, cf. A. Melloni , Laltra Roma, op. cit..
68 Cf. Fondo De Smedt, n. 1441; there is other material under the nn. 1467-1472. 69 Cf. Oesterreicher, The New Encounter, op. cit., pp. 253-260. On the reactionary milieux, cf. N. Buonasorte, Fra Roma e Lefebvre. Il tradizionalismo cattolico italiano e il concilio vaticano II, Roma, Studium, 2003. 70 The synopsis of the text which is presented to the attention of the Fathers on September 30th, 1965 , in synopsis with its earlier version, can be found in AS, IV/4, pp. 690-696. 71 Cf. Oesterreicher, The New Encounter, op. cit., pp. 272. 72 For the reactions of the embassies, cf. the index of A. Melloni , Laltra Roma, op. cit..
73 Cf. Oesterreicher, The New Encounter, op. cit., pp. 274-6. 74 Cf. S. Simonsohn, The Apostolic See and the Jews: History, Toronto, Pontifical Institute of Medieval Studies, 1991. 75 Cf. J. Neusner- E.S. Frerichs (eds. ), To See Ourselves as Others See Us. Christians, Jews, Others in Late Antiquity, Chicago , Scholars Press, 1985. 76 This was the thesis of M. Ruokanen in The Catholic Doctrine of Non-Christian Religions According to the Second Vatican Council, Leiden , Brill, 1992. Ruokanen is convinced that Nostra Aetate is characterized by a substantial negation of the salvific potential of [non-Christian] religions. 77 With reference to this intuition by Barth, an overview of the recent theological discussions can be found in J.T. Palikowski,  Nostra Aetate : its impact on Catholic-Jewish Relations, in Thoughts 67 (1992), n. 267, pp. 372-384.